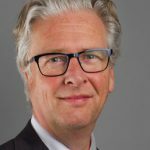 Read the opinion of Wouter Pors, partner of Bird & Bird and one of the key note speakers at the Unitary Patent Package Conference 2017 in Amsterdam about the ratify of the UK. In spring 2016 the Unified Patent Court (UPC) was well on its way to open up in late spring 2017. Court buildings were already rented in a number of cities, including the facilities for the Court of Appeal in Luxemburg. The Protocol, signed on October 1st, 2015, allowed for a provisional application period which would enable the Administrative Committee to start its work, including the appointment and training of the UPC judges. The case management system was still under development, but well on its way and the Rules of Procedure were almost finished. And then there was the Brexit referendum in the United Kingdom, creating a period of uncertainty and even chaos. However, those who had been working on the creation of the UPC and the Unitary Patent immediately started working on finding solutions, either by keeping the UK on board or, if need to be, continuing without the UK. In the months that followed many published their views online and the safe approach according to many seemed to be that the system would be slowed down considerably, severely handicapped or even dead. I never shared that approach and preferred focusing on assisting in finding a solution. Fortunatey, there were also some very interesting publications and presentations, especially from Prof. Tilmann and prof. Ohly, and later on the Gordon-Pascoe opinion, that focused on a solid legal basis for a long-term solution. There were many discussions at seminars and conferences and of course there was a lot of silent diplomacy. There is a series of messages in this short text. The UK is not limiting itself in any way in taking positons during the upcoming Brexit negotiations; it remains completely free to cut free from the ties of the EU. Ratification cannot be seen as joining a new EU institution, since the Unified Patent Court is not an EU institution, it is an independent court, based on an international treaty. Judges from the UK will be appointed on this court, so they will play an important role in building its case law. The UK will continue its preparations to ratify, but the objective is to bring the court into operation as soon as possible, which means the UK will deposit its instrument of ratification soon. At the press conference of the Competitiveness Council Commissioner Bieńkowska said that this is very good news for the industry and that we have been waiting for this for almost 40 years – not for the UK, but for a Unitary Patent and a court at European level. In preparation of the Council meeting a letter was sent by Belgium, The Netherlands, Luxemburg and Sweden to urge for a fast solution. This was supported by a number of other Member States, including Germany. Thus, there seems to be consensus that a Unified Patent Court and a Unitary Patent in which as many European countries as possible participate is good for European industry and for the protection of innovation in Europe. Many NGO’s had expressed the same view ever since the Brexit referendum. Obviously, the members of the Competitiveness Council who have contributed to give the UK sufficient comfort to be able to take this position have not focused only on the short term until the actual departure of the UK from the EU, but have taken the long-term situation into account. Naturally, there is no public statement on this, but it can be assumed to be part of the silent diplomacy that produced this result. Therefore, it seems likely that these EU Member States will not oppose the international law approach that will be described below. A solution for now, but what about the long term? The short-term legal situation seems to be easy. The UK is still a member of the European Union and will continue to be so for the next years. The notification under Article 50 of the Treaty on European Union (TEU) will probably not be sent to the European Council before next spring and then it will start a two years period of negotiations on a withdrawal agreement. In the meantime, on 3 November 2016, the High Court of Justice issued its judgment on the question whether the Article 50 notification should be an Act of Parliament, finding in favour of the plaintiffs. Accordingly, the Secretary of State does not have power to give such notification. A direct appeal to the Supreme Court will be heard early December and a judgment is expected shortly afterwards. Until now 11 Contracting Member States have ratified the UPCA. In addition, Italy, Lithuania and Slovenia have finalized their ratification procedure and are ready to deposit. Germany should be ready within a couple of months. Add the UK ratification to this, and UPCA will enter into force and so will the Unitary Patent Regulation (UPR). Prior to that the Protocol will enter into force, allowing for the provisional application period. The idea has always been that this should last for about 6 months, inter alia allowing for the appointment of UPC judges and the subsequent educational program, which is ready to be deployed. It includes elearning tools, seminars and mock trials. At the EPLAW Congress on Friday 25 November it was announced that there will even be a hard copy book version of the elearning tools. The UPC could then open up for business in the second half of 2017, while at the same time the possibility to apply for unitary effect of a European patent (for patents granted as of then) would come to life. Commissioner Bieńkowska even said optimistically that Unitary Patents would become available early 2017, but the start will more realistically be towards the end of 2017. Obviously, at that point in time, the UK will still be a member of the EU, so everything will go ahead as planned at least until the actual Brexit date (if and when that happens). Of course, as the UK government pointed out, the UPC is not an EU institution. The UPR however is, as on the one hand it is based on Article 118 of the Treaty on the Functioning of the European Union (TFEU), although on the other hand it is based on Article 142 of the European Patent Convention (EPC). For traditional European patents, claimants will have the choice to go either to the UPC or to the national courts for at least 7, but more likely 14 years. During that transitional period British companies can even opt out their traditional European patents from the jurisdiction of the UPC, with effect for the lifetime of that patent, so the actual effect on the sovereignty of the British courts is limited, although that does not apply to defendants who are sued in the UPC. But this was all part of the deal and the UK played an important role in the creation of the new system. The big issue of course is what will happen when the Brexit becomes a fact and the UK actually leaves the EU. Some interesting thoughts on this have been developed over the last months. Let’s first take a look at the UPC before turning to the Unitary Patent. The first question is whether the UK would be forced to leave the UPCA when it leaves the EU. According to Prof. Tilman and prof. Ohly this is governed by the Vienna Convention on the Law of Treaties (VCLT). That was also discussed at the EPLAW Congress on 25 November 2016. The Contracting Member States are jointly and severally liable for damage resulting from an infringement of Union law by the Court of Appeal, in accordance with Union law concerning non-contractual liability of Member States for damage caused by their national courts breaching Union law. This Agreement shall be open for signature by any Member State on 19 February 2013. This Agreement shall be open to accession by any Member State. Article 84 only requires that a Contracting Member State that joined the agreement on its initial signing date, 19 February 2013, should be an EU Member State at that point, which the UK was and still is. In addition, Article 84(4) provides that afterwards only EU Member States can join the UPCA. This makes it all the more remarkable that there are no provisions on termination, which apparently was not something that the Contracting Member States would ever want to happen. The VCLT provides further clarity on the issue. Two EU Member States are not a party to the VCLT: France and Romania. However, the VCLT is assumed to form the codification of unwritten principles of international law, to which France and Romania are not expected to oppose. It can be assumed that at least France was fully aware of this in the weeks leading up to the 28 November meeting and apparently the UK felt that there was enough comfort given to go ahead with the ratification. It must be assumed that all key players have seen the comments on the effect of the Vienna Convention on the current situation. Neither is the case for the UPCA. There is no sign of such an intention of the parties. To the contrary, the clear intention was to achieve a permanent solution for the shortcomings of the European patent system. Obviously, the nature of the treaty is an instrument to establish a permanent international court, well beyond a transitional period that has been envisaged to last 14 years. There is no implication that a possibility of withdrawal within just 2 or 3 years after the establishment of the court was intended. (b) The violation of a provision essential to the accomplishment of the object or purpose of the treaty. CONSIDERING that the Unified Patent Court should be a court common to the Contracting Member States and thus part of their judicial system, with exclusive competence in respect of European patents with unitary effect and European patents granted under the provisions of the EPC. Remarkably, the EU is not even mentioned in these purposes, only the EPC is. Of course, the recitals also contain considerations with regard to the primacy of EU law, which I will deal with further below, where I will show that these can be met anyway. Thus, the UK leaving the EU cannot be considered to be a material breach of the UPCA as defined in Article 60 VCLT in the light of the purposes of the UPCA, as it does not block achieving these purposes if the UK remains a party to the UPCA, quite to the contrary. A further question that relates both to Article 60 VCLT as well as to Article 4(3) TEU (the principle of sincere cooperation), Article 20 TEU, Article 2 TFEU and Article 118 TFEU is whether the UPC will still meet the conditions of Articles 20 – 23 and 24(1)(a) UPCA, which provide for the primacy of EU law, as further explained in the recitals of the UPCA. This raises the question whether a UPC in which the UK continues to participate after having left the EU still meets the conditions as set out in opinion 01/09 of the Court of Justice of the European Union (CJEU). This opinion has often been represented as requiring that only EU Member States participate in the UPC, but Gordon and Pascoe, as well as Tilmann and Ohly have shown clearly that this is not the case. Basically, the opinion boils down to three conditions: (1) the primacy – or full effectiveness, as the CJEU calls it – of EU law should be respected, (2) there should be an obligation to refer questions on the correct interpretation of EU law to the CJEU and (3) the EU Member States should be liable for any violation of EU law. All of this is guaranteed in the UPCA, to which the UPC itself of course remains bound. The obligation of Article 267 TFEU to refer questions to the CJEU is upon the courts of the EU Member States. Article 21 UPCA has imposed the same obligation on the UPC as a court common the the Member States, “as any national court”. The fact that one Contracting Member State no longer is an EU Member State will not change this. The UPC will indeed give full effect to EU law according to Article 20 and 24(1)(a) UPCA. If the UK remains a Contracting Member State, it thereby accepts that this is also the case if a judgment is rendered that has effect on the UK territory or on UK based parties to the litigation, just like it will have excepted this when it ratifies the UPCA prior to leaving the UK. Actually, it is expected that the UK will want to have an agreement on jurisdiction, recognition and enforcement of judgments with the EU, comparable to the Lugano Convention, which will provide the same effect on UK territory and UK based companies for judgments from national courts based in the EU Member States; those judgments will then be enforceable within the UK. When the UPC refers a question to the CJEU after the UK has left the EU, it will in fact do so on behalf of up to 23 EU Member States for which it has jurisdiction, so there is not really a reason why this would be a problem under EU law. I don’t see how the CJEU could refuse such references. Similarly, those 23 EU Member States will be jointly liable for violations of EU law under Article 22 UPCA. This liability will be decided “in accordance with Union law concerning non-contractual liability of Member States for damage caused by their national courts breaching Union law”, meaning that the UK basically submits to the application of this rule of international law. The liability itself rests on the Contracting Member States, which is not strictly limited to EU Member States. Apparently there is an intentional, or at least useful difference between the use of the terms “Member States” and “Contracting Member States” within this same provision. Article 23 states that liability is provided “including for the purposes of Articles 258, 259 and 260 TFEU”, but it is not limited to those purposes and may therefore also extend to a Contracting Member State that is not bound by the TFEU. In fact, Article 22 and 23 UPCA mean that next to EU Member States, even a non-EU Member State will be liable for violations of EU law. However, although the provisions on liability may be necessary for compliance with EU law, their practical effect should not be exaggerated. After all, such liability can only arise if the UPC, which is a highly specialized international court that is thoroughly aware of the impact of EU law on patent law, would disregard EU law, not seek the interpretation by the CJEU and create damage to a party to the litigation. This is highly unlikely to happen and if it does, the Contracting Member States will no doubt be willing to compensate for such damages. Tilmann has pointed out that during the transitional period the UK national courts can also decide patent cases and in doing so are not bound by EU law after the UK has left the EU. However, it should be borne in mind that this cannot relate to Unitary Patents, as these are within the exclusive jurisdiction of the UPC. With regard to traditional European patents it is a very common situation that EU law is not applied; that goes for the courts of 10 of the 38 EPC Member States. Now, a patent case may be litigated in the UK courts during the transitional period after the UK has left the EU because it has no impact whatsoever outside the UK. In that case it’s not a real problem that no question is referred to the CJEU. On the other hand, if this is a case with an impact across at least a part of Europe, in practice there will be parallel litigation either in a national court of an EU Member State or in the UPC and in that case relevant questions will be referred to the CJEU. It is then for the UK courts to decide to follow that or not, but if they don’t that is in no way a violation of EU law. As I understand, following opinion 01/09 the EU Member States in negotiating the UPCA took the safest way by deciding that only EU Member States could join instead of strictly following the rules set by the CJEU. At that time, no Brexit could be expected, but I have heard comments saying that looking back, it would have been better not to go any further than was actually required by opinion 01/09. That would have prevented speculation that a Contracting Member State could not remain party to the UPCA when it leaves the EU. In conclusion, in my view no changes to the UPCA are required when the UK ratifies it and also no changes are required when the UK later on leaves the EU. If any changes would need to be made, they would be of a rather technical nature and this would certainly fall within the competence of the Administrative Committee under Article 87(2) UPCA to bring the UPCA in line with EU law. I also see no reason why the EU itself should join the UPCA, as some have said, including Gordon and Pascoe. Tilmann has said in a position paper – for which I unfortunately have no public source of publication – that this is based on the misconception that the London Local Division and the London seat of the Central Division would somehow be UK courts, which they are clearly not; they are still part of the UPC, an international court that respects the primacy of EU law. Indeed I fully agree that there is no requirement for the EU to become a party to the UPCA and actually that would be contrary to the intention of the Contracting Member States, as is apparent from the history of the UPCA. And what about the Unitary Patent? Will it be able to cover the UK after Brexit? The UPR is a Regulation on enhanced cooperation between EU Member States, based on Article 20 TEU, Article 118 TFEU and Article 142 EPC. It is clear that currently participation in such enhanced cooperation is limited to EU Member States, meaning that in theory a Unitary Patent would no longer cover the territory of the UK when the UK leaves the EU. If nothing is done about this, the practical effect would be the following. Upon Brexit, the unitary effect would cease for the UK. It is then for UK national law to provide for a conversion into a national UK part of a traditional European patent. Normally, national validation has to be done within a short time from grant of the European patent, but this can create a problem in any case where unitary effect is refused by the European Patent Office, which may later on be confirmed by the UPC. Contracting Member States are therefore considering to include conversion provisions in their UPC implementation laws to cover this situation and the UK could do the same for the effect of Brexit. The result would be that a Unitary Patent would remain in force for 24 Contracting Member States and be converted into a UK national bundle patent for the UK. However, both could still be litigated in the UPC, as discussed above. Of course, there would be an extra maintenance fee for the UK and the Unitary Patent would cover less consumers for the same price, which is also bad. Article 51 provides that the provisions of the Charter are inter alia addressed to the institutions and bodies of the EU. Therefore, proprietors of Unitary Patents can claim that the EU needs to protect the scope of their property by providing for a solution for the Brexit issue. Fortunately, this can indeed be done. Article 142 EPC allows for unitary protection for any EPC Member State, regardless of whether they are an EU Member State. Tilmann has proposed that an extension of unitary effect to the UK could be achieved by way of a protocol to the UPCA on the basis of Article 142 EPC. In that case, the EU should not object to this as Tilmann says, but I would like to add that the EU should certainly not object in view of the Charter. But the better solution would probably be to include this in the UK exit agreement under Article 50 TEU. That would certainly be sufficient and indeed such a solution is not needed before Brexit becomes effective, so this would allow for a seamless transition. Since the UPC would retain exclusive jurisdiction for such Unitary Patents, all conditions of opinion 01/09 would be guaranteed. If this solution would then be tested before the CJEU, that EU institution would of course also be bound by the Charter, so this is a safe way to solve the problem of the Unitary Patent. In view of the above it is clear that the UPC and the Unitary Patent can start as soon as the UK has ratified the UPC Agreement. In case of the actual Brexit, probably no changes to the UPCA are required and if any are, this can be accomplished by the Administrative Committee under Article 87 UPCA. Maintaining protection for the UK under the Unitary Patent after Brexit becomes effective does require some additional measures, but due to the Charter of Fundamental Rights of the European Union, the EU institutions are obliged to provide for this. However, that pressure will probably not be necessary, since including the UK in the Unitary Patent is also in the interest of the EU, the EU Member States and the European industry. That leaves one outstanding issue: upon Brexit the Brussels I Regulation will cease to have effect for the UK, including the new Article 71a, which determines that a court common to several Member States is also deemed to be a court of each of those Member States. This will need to be solved in an Agreement between the EU and the UK similar to the Lugano Convention. Of course, this may also be incorporated in the UK Exit Agreement; indeed it will only be needed when Brexit takes effect. So, my overall conclusion is that the UPC and the Unitary Patent indeed are back on track and that providing a long-term solution isn’t even that complicated. I am certainly looking forward to representing my clients before a UPC panel in the near future and I do believe that the new system will help in giving Europe a new competitive edge over other regions in the world. A possible way for a non-EU UK to participate in the Unitary Patent and Unified Patent Court? – IPKat, http://ipkitten.blogspot.nl/2016/06/a-possible-way-for-non-eu-uk-to.html; Prof.dr. Winfried Tilmann, The Future of the UPC After Brexit, http://www.theunitarypatent.com/the-unitary-patent-regulation-and-upc-agreement-after-brexit; Prof Dr Ansgar Ohly, UPC and the impact of Brexit – Way forward?, Venice European Patent Judges’ Forum 2016, http://eplaw.org/wp-content/uploads/2016/11/UPC-Brexit-San-Servolo-EPLAW.pdf. Wouter Pors is one of the speakers at the Unitary Patent Package Conference, 9 and 10 February 2017 in Amsterdam. Wouter will inform you of the strategies for proceeding at the UPC. Thank you for your clear and comprehensive review of the situation immediately following the ephocal decision of UK to proceed with ratifying UPC. I subscribe all your conclusions both on UPCA and UPP going forward and declare my participation to the “club of the minimalists” who believe that once UK (and DE) ratify UPCA only minimal adjustments are really necessary to assure a long-term stability of the new system with UK on board, even after possibly having left EU. On UPCA I would also quote Alexander Ramsey’s interview of 5 December to this blog publication where the Chair of the Preparatory Committee points to the fact that if any amenddment is at all needed for UPCA, it can be taken care of after its entry into force by the Administrative Committee under Art 87UPCA. As to Unitary Patent Protection, I am also with those who hope that UK would want to maintain a unitary protection regime for European patents designating i.a. UK even after possible Brexit and see it doable “easily” just standing on “the other leg” already foreseen for it in Art 1(2) Reg EU 1257/2012, according to which the subject matter of the Regulation constitutes a special agreement within the meaning of Art 142 EPC. Thus when the “EU” leg cheases to have effect in UK, the UPP can stand (safely and with no time limitation)just on the EPC leg.. I hope that “the silent diplomacy” as you characterized it, has already done a lot of work in this respect and look forward to see UK ratification and the start of the operations under the Protocol on Provisional Application any time soon at the beginning of next year.